This generously gel padded saddle with built-in elastomer rail suspension is designed to help you ride in maximum cushioned comfort. 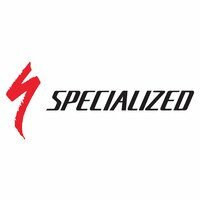 Specialized BG (Body Geometry) saddles have been the world's best sellers since their introduction in the late 1990s. And probably deservedly so. When you sit on a conventional bicycle saddle, pressure on the perineum compresses sensitive nerves and arteries. This can reduces blood flow by as much as 75% according to clinical studies conducted at the University of Cologne, which concluded that pressure on the perineum was the most common cause of saddle-induced numbness and pain. Working with sports' scientist, Roger Minkow, Specialized addressed these issues by developing their BG (Body Geometry) saddle range. BG saddles come in a comprehensive range of styles to suit every budget and every style of riding. The one factor that defines Body Geometry is the fact that every BG saddle has a cutaway section in the middle, which Specialized call the V-groove AKA The Minkow Wedge. Having nothing there reduces perineal pressure to such a degree, the University of Cologne studies concluded that riding on a Body Geometry saddle was as safe and benign as sitting on a padded armchair. Any saddle purchased from any of our shops is covered by our no-quibble comfort guarantee. That is, if it fails to make you more comfortable, return it to the shop within a month of purchase, and we'll replace it with an alternative saddle (or a gift voucher) to the same value.